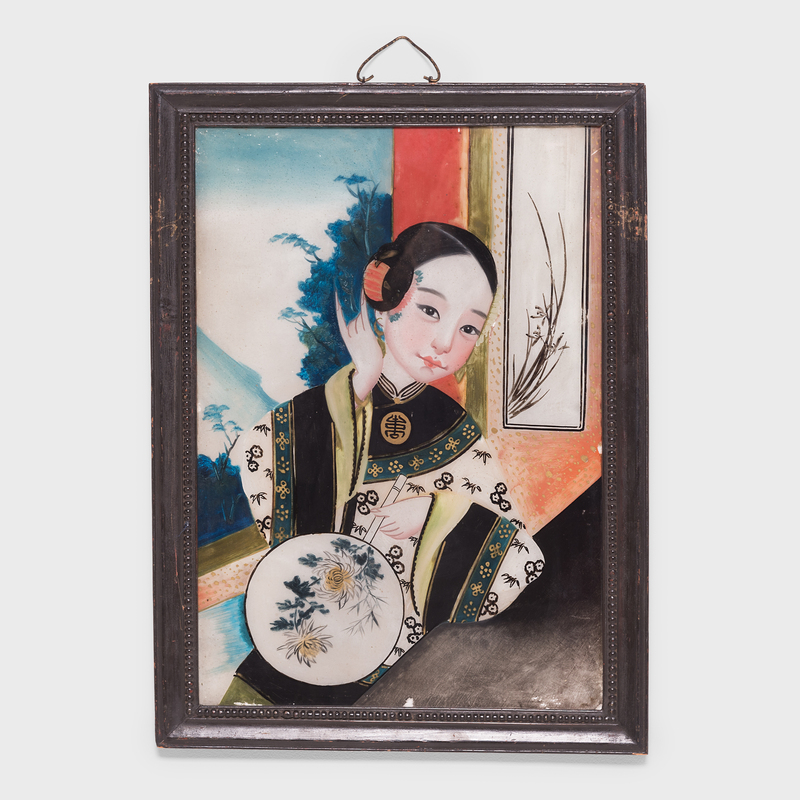 W: 16.5" D: 0.75" H: 22.25"
With exquisite detail and sparkling color, this portrait of of a young woman is a remarkable example of reverse glass painting. Lending the finished work a subtle three-dimensional effect, painting on the opposite side of a glass pane requires the artist to work in reverse. 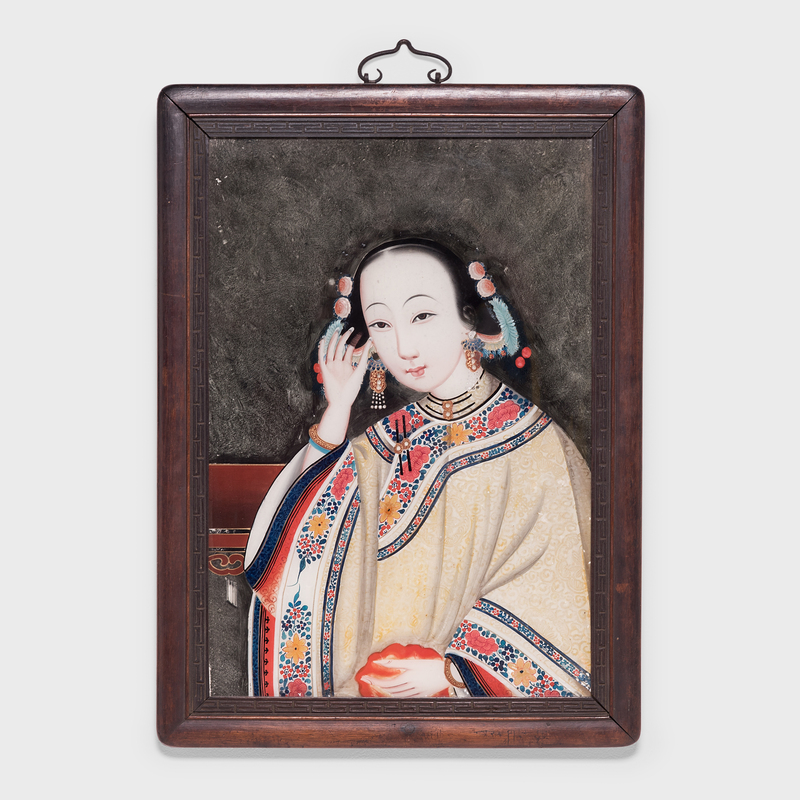 In this case, the delicate features of the woman's face and the intricate patterning of her robe were painted first, followed by the background and coloring. 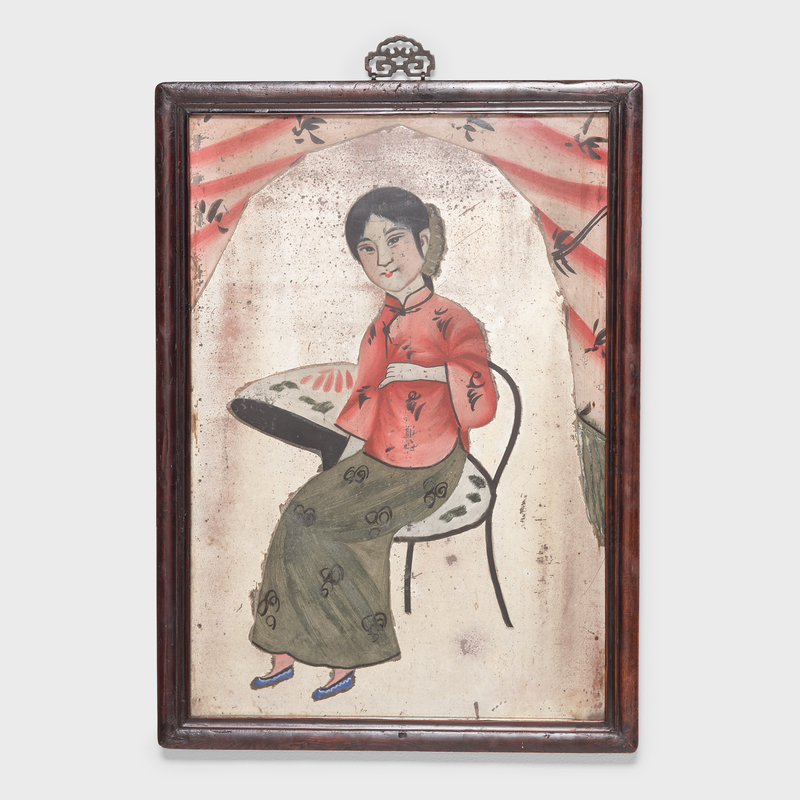 Special care was taken to include traditional calligraphy work in the piece, with flowering grasses in the background and spider chrysanthemums on the woman's paper fan. A challenge to the artist's skill, this exacting technique doesn't allow for any corrections, and is only revealed to its full effect when the glass pane is turned around.